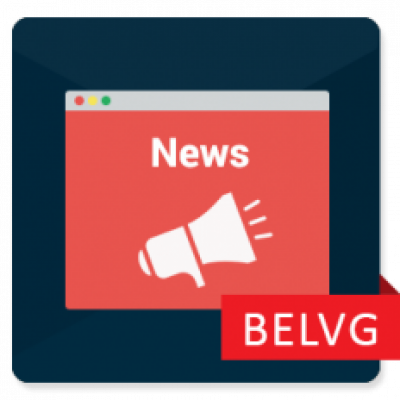 Our Prestashop News module will allow you to inform your customers about the latest events, keep them informed about your new proposals and give them any other information you plan. 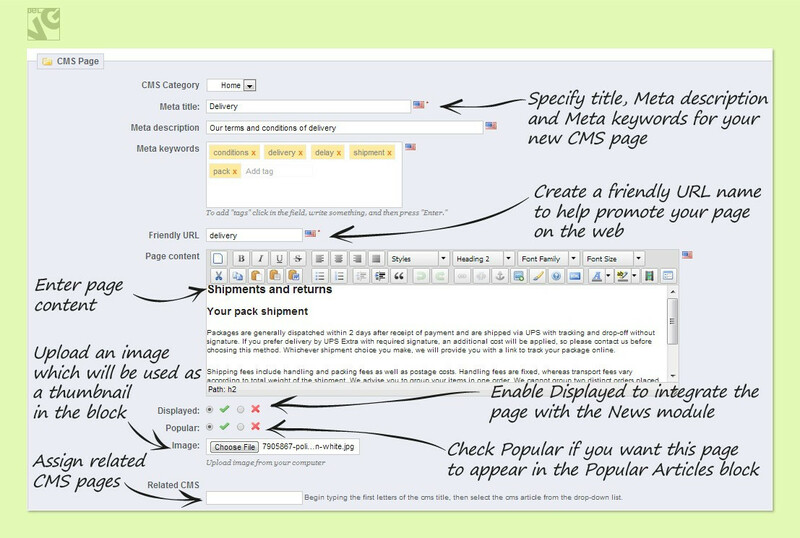 Create news blocks on any page of your website, post news, display links and any other information you might think of. Inform your customers instantly with the latest shop news and events using our News module for Prestashop. 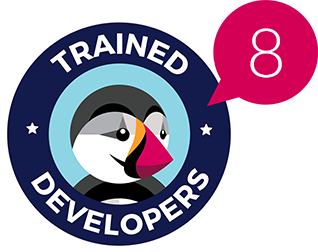 This module will help you easily arrange and manage your website content and make the most useful information visible and simply found on your website. 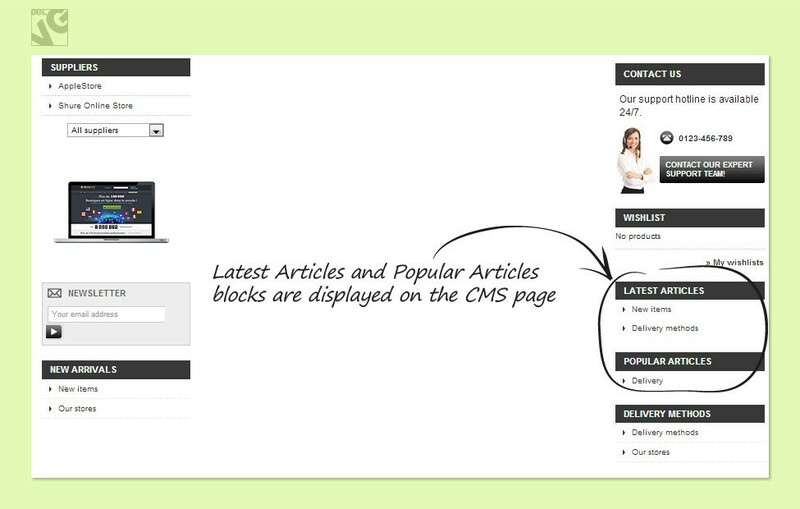 The extension allows you to create unlimited number of news blocks on any page, including the homepage, and display a list of links to the most important pages or news in each block on your web-store. 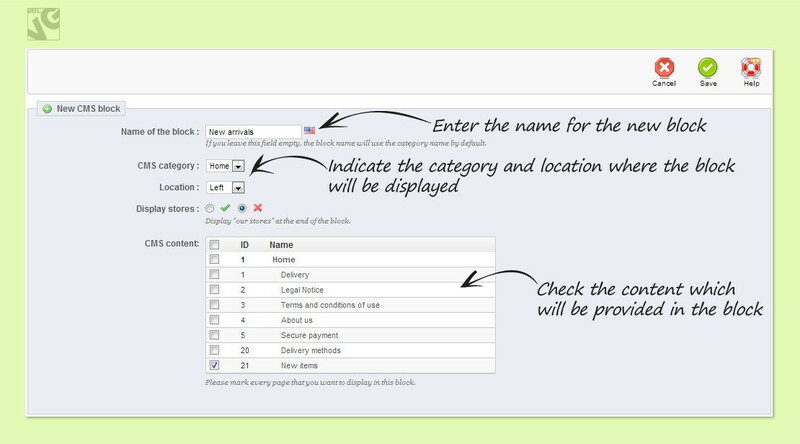 This way you can collect and arrange the most interesting and crucial information in one single block and put in that place on a website where any visitor would be able to find it. New category pages are automatically integrated into the module. If your web-store contains hundreds and thousands of pages, at some point there comes the problem of how to arrange your content more efficiently. Making the most important information and news updates more visible for your clients is also an issue. 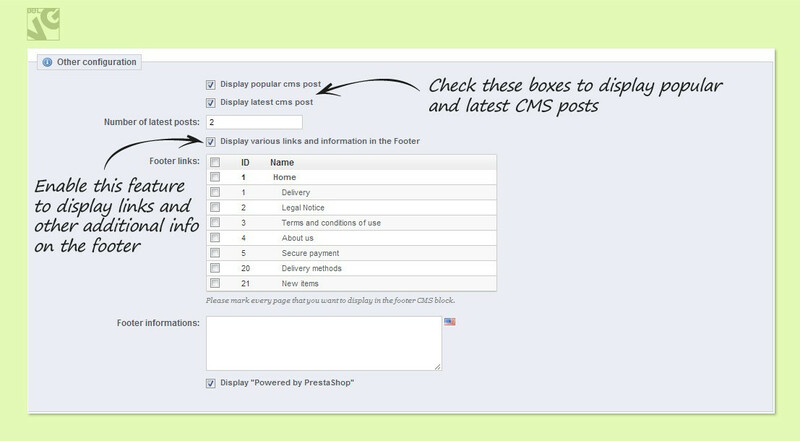 This is where the Prestashop News module comes into help. 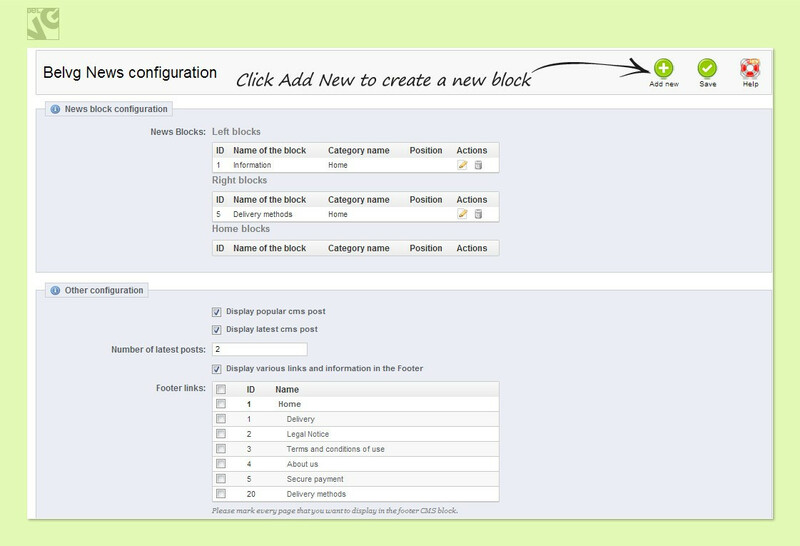 With this extension you will easily organize the most significant and necessary pages into neat and simple news blocks. They can be placed on any page and any location of your web store. 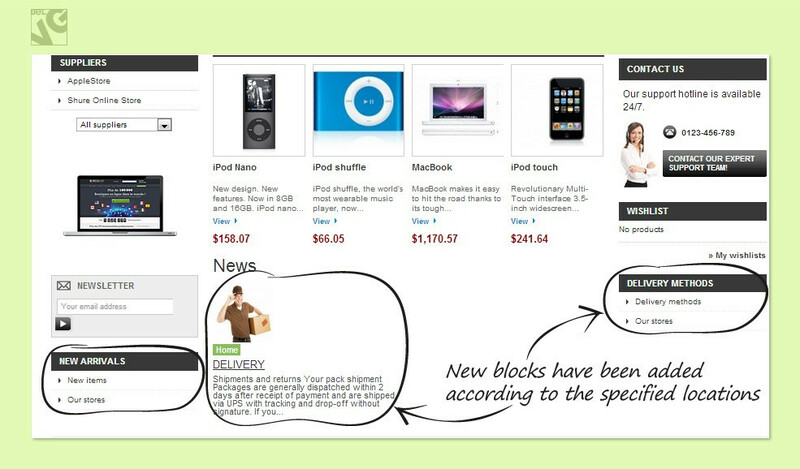 The blocks can be placed both on the right and left side of a page and even page footer. This way you will be able to instantly put the most essential info together into a single block, which will be easily noticeable for your customers.